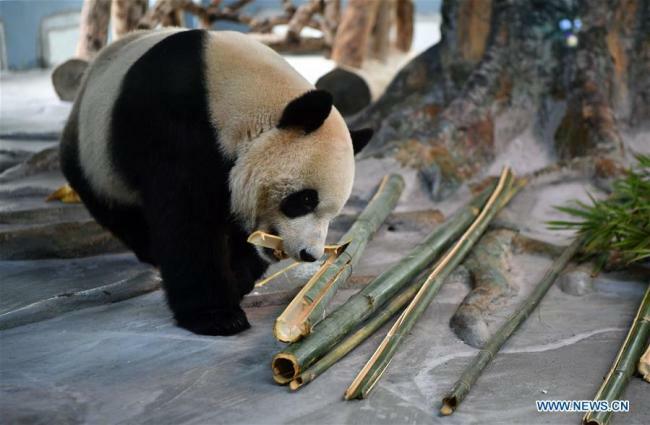 Two male giant pandas met with the public for the first time in Haikou, capital of China's southernmost province of Hainan Sunday. The two panda brothers, named "Gong Gong" and "Shun Shun", both 5 years old, are the first pandas to settle on the tropical island. Panda fans lined up on Sunday to get a close look at the duo. "This is my first time to see pandas. I have been waiting eagerly to see them since I knew they were settling in Hainan," said a visitor surnamed Zhong from northeast China's Heilongjiang Province.